something e l s e.
❞ welcome to Peony, a request site by Abi. Peony offers all sorts of services for each and every neopian, including graphic requests and premade pages. This site was created to solve my never-ending hunger for creating graphics and layouts, as well as to help out friends everywhere. As a low-maintenance site, Peony won't be updated every day nor will requests be open all the time. My aim, however, is to provide high-quality service and products. Thank you for visiting, I hope you enjoy browsing! Please only request if you plan on using the result. I reserve the right to decline your request if I feel I cannot complete it. The only problem I'll have with you, is if you claim my work as your own. If you do so, I have the right to report you for stealing. If you'd like to view examples of my work, vist my portfolio. If you'd like to request something for offsite purposes, contact me at backtalking @ da. I will only slightly adjust requests, I will not completely remake them. button Here at Peony, we offer button requests. Buttons are small little graphics that are a standardized size of 88x31 pixels. I offer two styles: regular and nebula. Click here for more information on nebula buttons! nebula buttons are quick and easy ones. They take the least amount of time, and have a pre-assigned font, background, and animation. layout Here at Peony, we offer layout requests. You can either request a CSS layout (which is all coding) or a Graphic layout (which has an image). These generally will take a while to complete, so please be patient! banner/icon Here at Peony, we offer icon/banner requests. Icons are small graphics that spruce up your site! Banners however, can be used to make a simple layout super pretty. Icons tend to be 100x100, but banners can be any size. Peony offers a variety of different layouts. They range of simple CSS to more extravagent Graphic-Based layouts. These are up for grabs for anyone who needs a layout fast and doesn't want to wait. Enjoy! Don't claim my layouts as your own. If you do so, I have the right to report you for stealing. Graphics-Based Only: Please do not edit the main image at all. You are free to play around with the coding, but not the images. CSS Only: Let me know if you'd like a layout in a different color in a different colour by neomailing me with the subject, Layout Recolor. affiliates Affiliates are open, send me a neomail if you are interested. credits Many thanks to one of my dearest friends, Sar. I love you so much, and thank you for the support! Photography used in any of my graphics are (c) to their creators. I do not take credit. Fonts are from Dafont, with credit to their original creators. 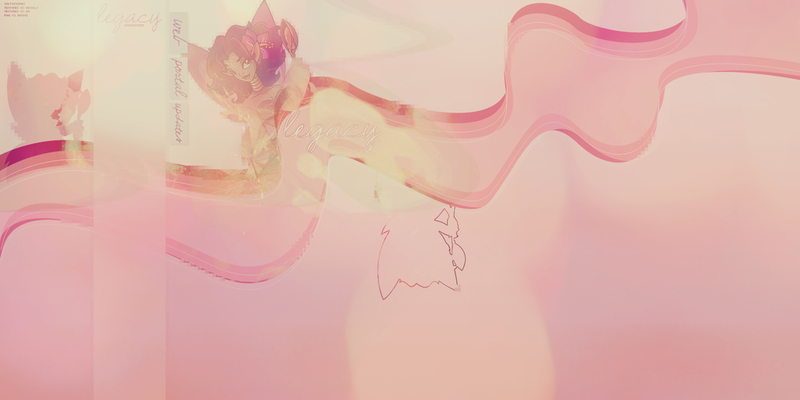 Textures and colouring .psds (c) Details, ClarabellafaireStock @ dA, Enhancers @ dA, LyricalLiesX @ dA. All resources used in the making of Peony, belong to their original creators if I have not stated them. All content distributed through Peony is mine, unless stated otherwise.